Of course, you don’t want anything in your home to leak. And hopefully you won’t have to deal with that for some time to come. If your home is a bit older and is experiencing some wear, you need to start thinking about certain repairs which need to be done. In particular, you might find yourself confronted with leaks. Plumbing leaks and roof leaks are very common, and here’s what you need to know about both. There are many things in your home that might start leaking. Maybe you noticed a dripping faucet or realized your water bill is much higher than it should be. You might want to check your water meter yourself if you think you might have a leak. You can do this by taking a meter reading, then waiting an hour or two (don’t use water during that time) and taking another reading. If the reading has changed, you have a leak and you need to get a professional like Roto-Rooter plumbing & drain services to come take a look. You might also find that your toilet or faucet is leaking. 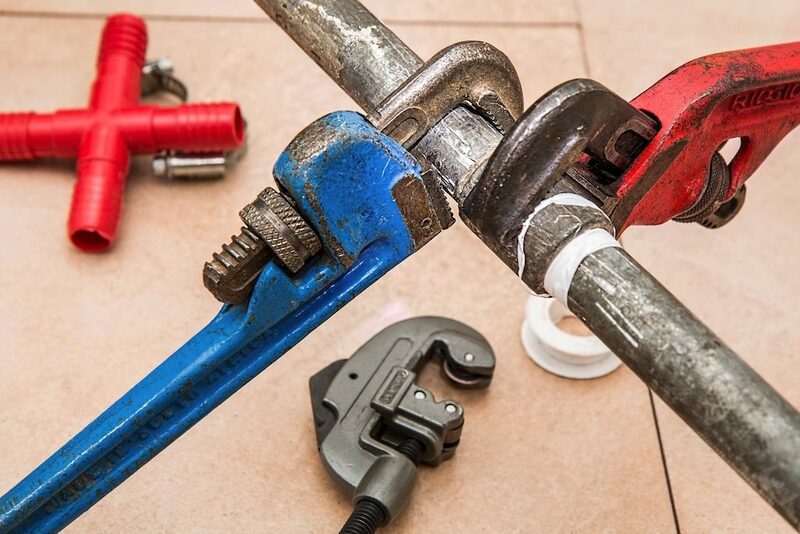 These are often easy fixes, and a professional can have your pipes or faucet back in working order in no time. As with any home repair, it’s important to get it taken care of right away. A problem with your plumbing could turn into a huge issue if it’s not resolved quickly. Even if you do end up needing more extensive repairs, the plumbers will use eco-friendly and cutting-edge technologies to replace or repair your pipes. This means that there is no reason to avoid calling a plumber if you spot a leaky faucet or a change in your water meter or bill. The roof is one of the most important parts of your home, and it’s a large part of what you inspect when you purchase a new house. Even after you’ve bought the perfect home with a great roof, you need to make sure you inspect the roof at least twice a year and after any large storms. As with plumbing, you want to make sure that you catch any issues early so they can be resolved by professional or strengthened with things like Everlast II™. If you have asphalt roofing, make sure to inspect for any broken or bent shingles. A professional can replace these for you easily. Many homes have concrete tiles for roofing, which can typically last for 75 years, but it depends on how well they were installed initially. These tiles can cause leaking if they were not put on properly, and since you were not there when the roof was installed, you will have to keep an eye on things yourself. Check the inside of your home for areas where leaks might be occurring. If you noticed that your ceilings become damp after a rainstorm, call a professional and have them come take a look at your roof and see what they can do to fix it. Plumbing and roof leaks are very common, but they don’t have to cause a panic. If you know what to look for in your home and you know the right people to contact, the issues can be resolved quickly and easily.